Obtain a Healthy, Beautiful Smile — Straightening your teeth and improving your bite will help you better prevent tooth decay, gum disease, and facial joint and muscular problems. 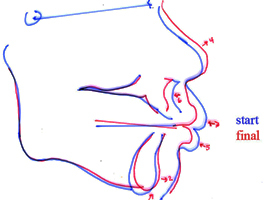 When teeth and jaws are in the proper position, it is easier to clean, bite, chew, speak, swallow and smile properly. A healthy smile is also a beautiful smile and can give you a new-found confidence and affinity toward smiling.Badly spaced and crooked teeth can lead to periodontal disease (signs include red or swollen gums). Periodontal disease can eventually cause tooth decay, tooth loss, and even affect your heart’s health long term. Straightening your teeth and aligning your bite can help you prevent these serious and sometimes costly problems. Straighten Misaligned Teeth — Do you dislike how your teeth look when you smile? 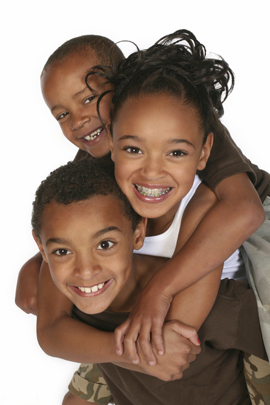 Braces can correct your crowded, turned, over-spaced or misaligned teeth. This can improve the aesthetics and health of your smile. Braces can help align your teeth to allow for improved hygiene and facial aesthetics and can reduce periodontal problems. This skeletal overlay shows how orthodontics can improve your bite and alignment. In this case, orthodontics reduced extreme protrusion (and its resulting chewing and breathing problems) to help this 25 year old male.